The worst problem we have is that the roads, while plowed to bare pavement, haven't been plowed wide enough. 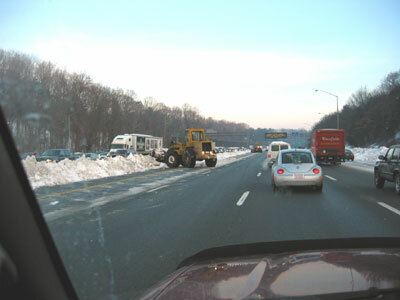 Quite often, one will be driving along and suddenly, without warning, two lanes shrink to one due to uneven plowing. 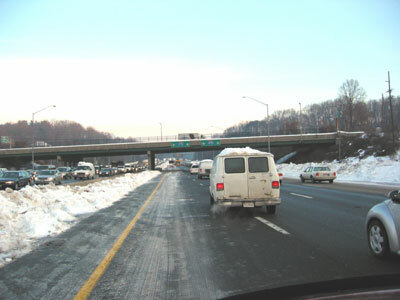 The Capital Beltway at 7 am. Note the opposing traffic badly backed up. 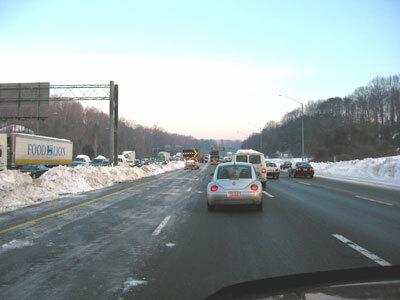 See up ahead the two (of four) left lanes are blocked off for snow removal. Yep, we've got to move way to the right. Now that we're past the actual barricades, it's clear that the 2 left lanes are being occupied by snow removal equipment. 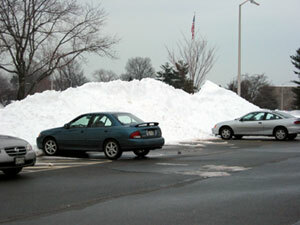 Here's the parking lot where I work. How long will it take for these "glaciers" to melt??????? 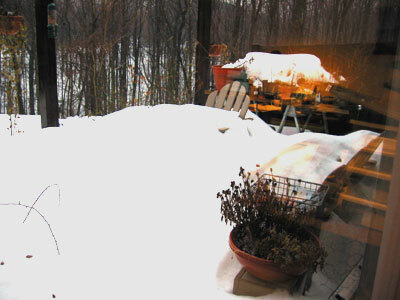 The snow is melting. The temps have been in the 40s and Friday night and Saturday, it's been raining. 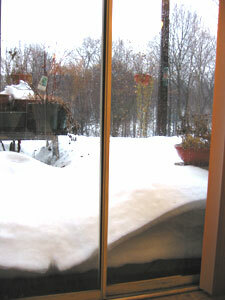 Note how the chair is starting to re-imerge from the snow and the drifts against the glass door is melting and collapsing.